A Singaporean arbitration tribunal has ruled that the Maldivian government does not have to pay US$160 million loaned by the India’s Axis Bank for airport development in 2011, Minivan News has learned. The Axis Bank sought repayment of the loan after the government abruptly took over the airport from Indian developer GMR in December 2012. The bank said the government had guaranteed the loan issued to GMR and was liable in the event of an early termination or an expropriation of the airport. After concluding hearings in March, the tribunal ruled on Friday that neither the government nor the state-owned Maldives Airports Company Limited (MACL) was responsible for the loan. The tribunal also ordered the Axis Bank to pay the government and MACL’s legal fees for the arbitration process. The bank had claimed US$170 million from the government, including US$10 million in interest and fees. The GMR Group is meanwhile claiming US$803 million from the Maldives in a separate arbitration after the tribunal ruled in June last year that the government had “wrongfully” terminated the concession agreement. In the first phase of the arbitration process, the tribunal found the concession agreement to have been “valid and binding.” The government and MACL were “”jointly and severally liable in damages to [GMR Malé International Airport Limited] for loss caused by wrongful repudiation of the agreement”. The tribunal is yet to determine the amount owed to the Indian infrastructure giant as compensation. A verdict is expected in mid-2015. President Abdulla Yameen has previously said that the Maldives will not have to pay more than US$300 million to GMR, which would be “manageable” for the MACL. According to submissions made to the tribunal by the Axis bank and the government, obtained by Minivan News, the government argued that declaring the concession invalid from the outset does not amount to an early termination. While the tribunal in the separate GMR arbitration determined that the termination of the GMR deal was “wrongful repudiation” (refusal to honor the contract), the government contended that “repudiation” alone does not lead to termination. The government blamed GMR for terminating the concession agreement by “accepting” the repudiation, and said no force was used in the takeover. Axis bank is “perfectly entitled to recover the loaned sums from the party to which it loaned them,” lawyers representing the Maldives argued. The government also accused the Axis Bank and GMR of colluding to extract large sums of money, claiming the infrastructure giant had paid for the bank’s litigation fees for the separate arbitration process. As an Indian Bank for whom GMR was a major customer, the Axis Bank wanted to cement its relationship with GMR “by assisting it in making a very substantial claim for damages,” the government alleged. The government claimed the bank had been involved in an “attempt to secure political pressure from the Indian government” to prevent cancellation of the deal. The Axis Bank in 2012 told the government it would “approach the regulatory-diplomatic authorities in India” after GMR was ordered to handover the airport, the government said. GMR also wrote to the prime minister in August 2012 “requesting intervention by the Indian government, when it was clear that future of the concession agreement was in jeopardy,” the government said. The Maldivian government considered buying out the 2010 airport development contract from India’s GMR, but lacking the necessary funds declared the agreement invalid, Minivan News can exclusively reveal. The Maldives is now facing a payout to GMR, potentially as high as US$803 million or over half of the state budget, after a Singaporean tribunal last year ruled that the agreement was valid and binding. The government, however, expects the compensation claim to amount to US$300 million. The exact figure is yet to be determined by the tribunal. Testimony by cabinet ministers and airport company officials – in a separate arbitration between the government and an Indian bank over the airport deal – show that ex-president Dr Mohamed Waheed Hassan asked his cabinet to estimate the sum required to buy out the concession agreement from GMR. Minivan News has obtained the opening submissions by the government and the Axis Bank made in February and March, respectively. The inability to buy out GMR led to a political impasse, Shareef said. At the time, the Adhaalath Party had issued a six-day ultimatum to the government to nationalise the airport. The religious conservative party in alliance with the Progressive Party of the Maldives, the Jumhooree Party and a coalition of NGOs had played a key role in ousting former President Nasheed and bringing his deputy Dr Waheed to power. Shareef said the coalition’s opposition to the concession agreement was one of the main reasons behind Waheed assuming the presidency. The emergence of the void ab intio or invalid from the outset argument was a way out from the political impasse, he said. Ibrahim Mahfooz, a director at the state-owned MACL at the time, said president Waheed had also asked the company for an estimate of the sum required to buyout GMR, but said it was clear to the company’s board that the sum would exceed what they or the government could immediately afford. If president Waheed has asked the company to buy out GMR, “I expect that we would have asked for time to attempt to borrow the money and if President Waheed had insisted on our acting immediately, I expect that some of us would have resigned, forcing President Waheed to appoint new board members who were willing to comply,” Mahfooz said. At a cabinet meeting on November 27, 2012, ministers unanimously agreed to terminate the deal with GMR. “This entire agreement has to be brought to an end, as it is believed by everyone that the agreement is invalid and cannot be continued legally,” Dr Waheed said, according to cabinet meeting minutes submitted to the tribunal. Then-vice president Mohamed Waheedudeen said: “This cabinet represents a lot of political parties. Amongst them, almost everyone does not want to renegotiate this agreement, and wants to terminate this agreement. The government’s takeover of the airport led to a cooling of relations between India and the Maldives, with India imposing visa restrictions on Maldivians seeking medical treatment in India and ceasing the export of some construction materials. In the submissions obtained by Minivan News, the Maldives said GMR and Axis Bank had successfully lobbied India for the sanctions. The restrictions were only lifted after President Abdulla Yameen assumed power in November 2013. The Axis Bank is seeking repayment of the US$160 million loan as well as an additional US$10 million as interest and fines from the Maldivian government. The bank contends that state is liable for the loan in the event of an early termination or an expropriation of the airport. The government first argued that declaring the concession agreement void ab initio did not amount to an early termination. Following the verdict in the GMR tribunal, which said the government had repudiated or refused to honour the terms of the agreement, the government claimed a repudiation did not amount to an early termination. The Axis Bank, however, says the GMR arbitration ruling is not applicable in its case, arguing that the bank is not bound by the ruling issued in a separate, private and confidential arbitration. 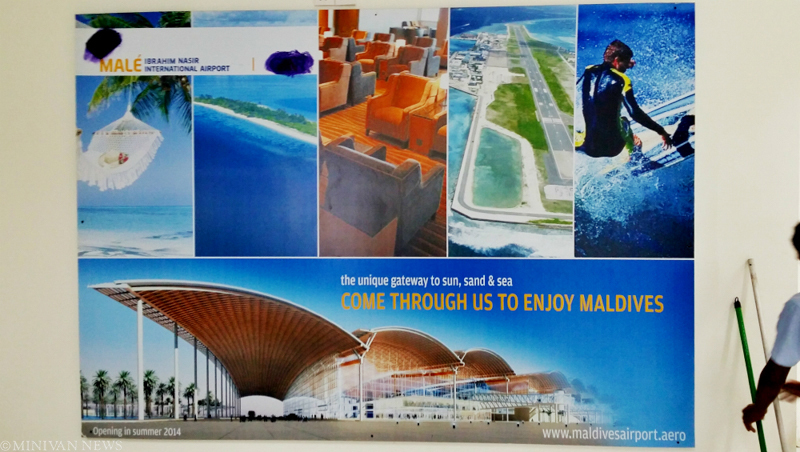 An Indian infrastructure company and a bank successfully lobbied India for sanctions on the Maldives over the 2012 cancellation of a deal to develop the international airport, the government has claimed. The government made the allegation last month at a Singaporean arbitration tribunal, where India’s Axis Bank is seeking the repayment of a US$160 million loan from the Maldives. The loan was given to GMR group in 2011 to upgrade and manage the Maldives’ main airport. India had tightened visa regulations for Maldivians and ceased exporting some construction materials to the Maldives, after the government took over the airport in 2012, but neither India nor the Maldives had explained the reasons for the sanctions. India only lifted the restrictions after President Abdulla Yameen was elected in November 2013. In its submission to the Axis Bank tribunal – obtained by Minivan News – the government claimed the bank had been involved in an “attempt to secure political pressure from the Indian government” to prevent cancellation of the deal. The Axis Bank in 2012 also told the government it would “approach the regulatory-diplomatic authorities in India” after GMR was ordered to handover the airport, the government said. GMR is meanwhile claiming US$803 million from the Maldives in a separate arbitration after the tribunal ruled last year that the government had “wrongfully” terminated a “valid and binding” concession agreement. According to minister Mohamed Hussain Shareef, “the message [Waheed] got from them was confident and unbending: they expected [the Maldivian government] not to take any action to terminate the concession agreement”. The Indian government subsequently “insisted on the repayment of outstanding debts of US$100m” in mid-November 2012 and warned of “repercussions” shortly before the agreement was terminated, lawyers representing the Maldives said. Documents disclosed during arbitration proceedings also showed that the Axis bank’s officials had met the Indian High Commissioner in January 2013, a month after the government took over the airport, lawyers added. The submission noted that former president Mohamed Nasheed stated after a visit to India in February 2013 that “India believes the deteriorating ties between Maldives and India will recover” if the 25-year contract is restored. “On 11 March 2013 several Indian Navy attack craft were reported as having conducted exercises just outside Maldivian territorial waters,” it added. With the tightening of visa regulations for Maldivian citizens, dozens of people to queued outside the Indian High Commission to obtain visas to travel for medical treatment. In February 2013, the Indian government revoked a special quota afforded to the Maldives for the import of aggregate and river sand. The move led to a shortage of the supply of construction material and rising costs for construction companies. The current Indian Prime Minister Narendra Modi meanwhile invited the GMR chairman to a state banquet in honour of President Abdulla Yameen in January 2014, lawyers representing the Maldives noted. Minivan News is awaiting a response to the allegations from the Axis Bank and GMR, while the government has declined to comment on the ongoing arbitration. However, the government has argued that declaring the concession agreement invalid from the outset does not amount to an early termination. The government also accused the Axis Bank and GMR of colluding to extract large sums of money, claiming the developer paid for the bank’s litigation fees for the separate arbitration process. Verdicts are expected in both the GMR and Axis Bank arbitrations in June. The Maldives faces a payout of US$170million to a bank in the dispute over the government’s abrupt takeover of the main airport from an Indian developer in 2012, Minivan News can exclusively reveal. India’s Axis bank, which loaned US$160million for airport development in 2011, is seeking repayment of the loan and an additional US$10million in interest and fees from the Maldives, according to submissions made to a Singaporean arbitration tribunal. The airport developer, GMR group, is meanwhile claiming US$803million from the Maldives in a separate arbitration after the tribunal ruled the government had “wrongfully” terminated the concession agreement. President Abdulla Yameen estimates Maldives will be required to pay a much lower figure of US$300million to GMR. If the Axis Bank wins its claim, the payout of US$470million may cripple the domestic economy. Although total foreign reserves stood at US$614.7million by the end of 2014, usable reserves stood at only US$143.9million, according to the central bank. Public debt meanwhile stands at 75 percent of GDP and is likely to increase this year with the government seeking additional loans to finance key projects including a US$600million loan for airport development. The attorney general’s office last year denied receiving notice of the arbitration, but since then has been silent on the proceedings. The office declined to comment on the arbitration today, and the ministry of finance was not available for comment at the time of going to press. A verdict is expected in both the GMR and Axis Bank arbitrations by June. The Axis bank, in a submission in February, said it is entitled to recover the US$170million from the government under an agreement that states the Maldives state is liable for the loan in the event of an early termination or an expropriation of the airport. But the government in its first statements in 2013 denied having knowledge of the agreement with the Axis Bank. When the signed agreement was produced, the government said declaring the concession void ab initio or invalid from the outset does not amount to an early termination. When the separate tribunal in the first phase of the GMR arbitration said the concession agreement was valid and constituted a “wrongful repudiation” (refusal to honor the contract), the government in March this year claimed that “repudiation” alone does not lead to termination. The government went on to blame the GMR for terminating the concession agreement by “accepting” the government’s repudiation, and said no force was used in the takeover. Axis Bank is “perfectly entitled to recover the loaned sums from the party to which it loaned them” i.e. GMR, it continued. The Axis Bank has dismissed the allegations as baseless. The capacity of Ibrahim Nasir International Airport (INIA) will increase threefold to seven million passengers annually with the development of a new new runway alongside the previously announced new terminal, the cabinet’s economic council has revealed. At a press briefing today, Minister of Economic Development Mohamed Saeed said efforts were underway under the direct supervision of President Abdulla Yameen to secure financing for the projects. “The previous development concept was only for the development of the terminal,” says Saeed. After presenting a conceptual video of the airport depicting the envisioned developments, Saeed said the government’s target was completing a large portion of the project by 2017. “We estimate that MACL [Maldives Airports Company Ltd] will earn MVR6.4 billion (US$ 410 million) in revenue in 2017 as a result of the redevelopment,” Saeed explained, adding that the income would be unprecedented in the government-owned company’s history. Under the new master plan, Saeed said the project for the second runway has been awarded to Chinese Beijing Urban Construction Group (BUCG), which has since submitted BOQ (bill of quantities) and designs to the Chinese Exim Bank. The project – to be financed by a concessionary loan – also involves building a fuel farm and expanding the cargo terminal as well as the runway apron, Saeed noted. The development of the airport terminal was awarded to Japanese Taisei Corporation and is to be financed by the Japanese Bank for International Cooperation (JBIC), Saeed added. Saeed revealed that he would be leaving for Tokyo in the coming weeks to fast-track the loan approval process, adding that construction could begin as soon as the loans are approved. In December, MACL signed an agreement with Singapore’s Changi Airports International for consultancy in the development and expansion of INIA. The estimated cost of the projects is US$845 million, Saeed continued, which includes improvements to the shore protection of Hulhulé Island, new seaplane facilities, new hangars, nine aero bridges, existing runway resurfacing and the relocation and demolition of existing facilities at the airport. The redeveloped airport would also be connected to Hulhumalé via a new road, Saeed said. Speaking at a ceremony last night, Saeed claimed that the Maldives will see US$600 million of foreign investment in the next five years. Meanwhile, the United Kingdom, Germany and Canada has recently alerted tourists on travelling to the Maldives, citing political instability after former president Mohamed Nasheed was arrested on terrorism charges. Asked if the current unrest could adversely affect the Maldivian economy, Saeed urged the opposition to refrain from engaging in activities that could harm the tourism industry and the economy. In June last year, Indian infrastructure giant GMR won an arbitration case against the government for the premature termination of its airport development agreement in 2012. A Singaporean tribunal deemed the airport development contract “valid and binding” and the MACL liable for damages after former president Dr Mohamed Waheed’s administration declared the deal void ab initio (invalid from the outset). The exact amount owed by MACL is to be determined after the second phase of the arbitration case, with GMR seeking US$1.4 billion in damages – a figure which exceeds the state budget for 2014. However, Attorney General Mohamed Anil has contended that the government was liable only for GMR’s initial outlay of US$7 8million, plus any costs for construction work completed after the 2010 deal was agreed. The US$511 million agreement to manage and develop INIA – signed during the tenure of former President Nasheed – represented the largest foreign direct investment in the Maldives’ history. Saeed meanwhile noted that Chinese tourist arrivals account for 35 percent of all tourist arrivals to the Maldives, predicting further growth in the coming years. However, according to statistics from the Tourism Ministry, Chinese arrivals have been slowing down in the past months, with negative growth recorded during December and January. “January 2015 was recorded as the worst performed month for the Chinese market to the Maldives so far, with a strong negative growth of 33.1 percent,” the ministry noted in a statement last week. However, Saeed insisted that arrivals would pick up this month with the Chinese new year celebrations on February 19 and continue to rise with the growth of outbound Chinese tourists, which reached 109 million last year. The Indian government has moved to correct suggestions made in the Maldives’ parliament last week that it had discussed joining China’s New Silk Road initiative. When asked about the potential impact of the scheme on India-Maldives relations, foreign minister Dunya Maumoon had told MPs that India had also discussed participating during the recent state visit of Chinese President Xi Jinpeng. In order to clarify the issue, Indian diplomats in Malé have released a statement in which India’s External Affairs Ministry denies such talks having taken place. “[T]his matter was neither raised, nor discussed, nor is it reflected in any of the outcomes of the visit of President Xi Jinping to India,” the ministry official told Indian media on Thursday (November 6). President of the People’s Republic of China Xi Jingpeng has received positive responses from President Abdulla Yameen to his calls for the Maldives “to get actively involved” in the creation of a maritime trade route linking China to the east coast of Africa and the Mediterranean. China’s rising economic presence in the Indian Ocean region has stoked concerns in New Delhi that China is creating a “string of pearls” to encircle India, including Chinese investments in ports and other key projects in Sri Lanka and Pakistan. In response to opposition fears over the impact on neighbouring countries, Dunya told the Majlis that the government always remained mindful of regional security. “His Excellency Xi Jinping visited India. India very much welcomed his visit and they discussed participating in various initiatives of China and participating in the Silk Route,” said Dunya. However, the minister made clear that the Maldives, as a sovereign nation, was not compelled to consult with others on foreign policy decisions. The government decided to participate in the Silk Route initiative as it would promote national interest and benefit the Maldivian people through trade and commerce, she said. The rise in Sino-Maldivian links over the past three years appears to have coincided with a relative cooling of relations between the Maldives’ and its traditional ally, India. While Chinese tourists make up around one-third of the one million-plus tourists visiting the Maldives each year, developmental aid is increasingly becoming a key feature of the relationship. 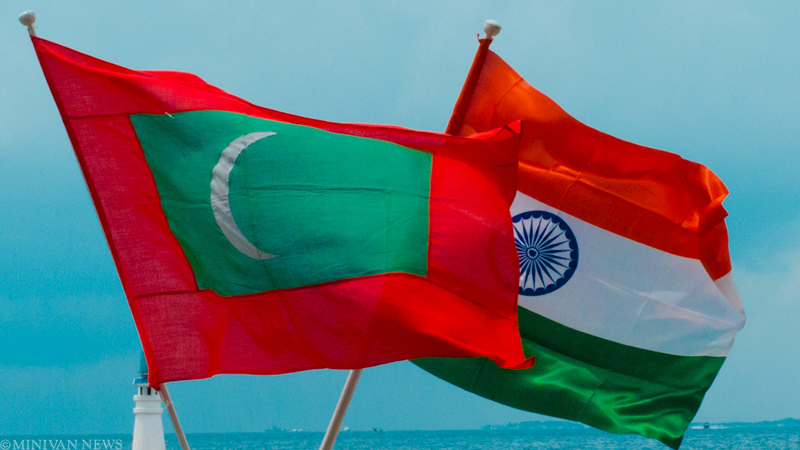 As Chinese companies pledge assistance with major infrastructure projects, Indian companies continue to fall foul of the Maldives’ changing political currents. President Xi Jinpeng became the first Chinese head of state to visit the Maldives in September, as part of a regional tour which also took in Tajikistan, Sri Lanka, and India. A number of agreements, including a preliminary deal to redevelop Ibrahim Nasir International Airport (INIA), were signed during the stop in Malé. The new INIA agreement comes as the previous developers, India’s GMR, wait to hear how much they are to receive in damages after a Singapore arbitration court ruled their prematurely terminated contract with the Government of Maldives to have been “valid and binding”. The government has decided to terminate the agreement made with India–based Tatva Global Renewable Energy to provide waste management services in the capital Malé and nearby areas. A company source said that the cabinet’s Economic Council informed them last month, citing unfavorable relations with the city council and the government’s preference for a state-owned service. Speaking to Haveeru today, Economic Council Co-Chair and Tourism Minister Ahmed Adeeb confirmed the move to terminate the contract. “The current government is looking to completely solve the waste management problem in the next two years. The previous government talked a lot about environmental issues but there was no actual work done to solve the issues,” said Adeeb. The termination marks the latest in a number of terminated or renegotiated contracts signed under the government of Mohamed Nasheed, while current President Abdulla Yameen continues moves to improve the country’s investment climate. City Mayor Mohamed Shihab informed Minivan News that Malé City Council had not been consulted over the decision despite being one of the parties involved in the project. “The city council will continue on its waste management operations like it has been so far. The work so far has been done by MCC and not Tatva and this will not lead to any differences in the short run, however we would need to start looking into long term alternatives again,” said Shihab. The council – dominated by the opposition Maldivian Democratic Party (MDP) – has this year introduced trash cans and fines for littering. Persistent conflicts with the central government, however, have continued. The agreement with Tatva was presented as a solution to the capital’s ever-pressing waste management issues, with formal plans to generate power by recycling the waste and improving existing waste management systems. However, the agreement faced delays following the fall of the MDP government in 2012, with renegotiations initiated as the new government of Dr Mohamed Waheed sought more “mutually beneficial” terms. Mayor Shihab told Minivan News in May that the latest delay to the project involved the failure of the finance ministry to fund the repair of equipment required as part of the deal. Similar problems have beset other Indian investors in recent years, with a US$190 million housing project in Malé by India’s TATA group delayed for more than two years pending renegotiation of the original terms agreed with Nasheed’s MDP government. Shortly after the project stalled in 2012, officials from Apex Realty reportedly told Indian media of fears that local politics were derailing their investments in the Maldives. Negotiations were concluded last month and the project resumed, with the Indian High Commission in Malé confirming that the deal now had “firm assurances from both Government of Maldives and TATA Housing”. The most prominent Indian project curtailed by the change in government was the US$511 million lease to develop Ibrahim Nasir International Airport, terminated in November 2012 after the contract was declared void by Waheed’s cabinet. After GMR challenged the legality of the move in a Singapore court of arbitration, the contract was deemed “valid and binding”, leaving the Government of Maldives liable for damages. Though the figure owed is yet to be determined by the court, it is expected to be considerably less than the US$1.4 billion claimed by GMR. A 2012 report in India’s Business Standard brought forward concerns by Indian companies operating in the Maldives over political interference which they companies claimed is derailing their substantial investments in the country. Since assuming the presidency in November 2013, Abdulla Yameen made the introduction of special economic zones the flagship of his legislative agenda, passing the SEZ Act in August. With a minimum investment of US$150 million required for any investment projects in the special economic zones, Adeeb – also chairman of the SEZ investment board – has suggested that just one of the government’s proposed mega-projects could diversify the Maldives’ tourism-reliant economy. While no major deals have yet been signed, a team of Chinese surveyors are expected in the country this week to carry out a survey for Malé-Hulhulé bridge – a project mooted by successive administrations. Indian infrastructure company GMR has told media of its surprise that the development of Ibrahim Nasir International Airport (INIA) has been given to a Chinese firm. “Sources in the GMR expressed surprise at the move by the Maldives government as it has entered in a new contract for construction work at airport without paying damages as suggested by the tribunal,” wrote the Economic Times today. The preliminary contract agreement for the development of the airport was one of eight MoUs signed between the Chinese and Maldivian governments during the recent presidential visit by the Chinese President Xi Jinpeng. The terms of the agreements have not yet been released to the media, though it was revealed that the new contract to develop the airport was given to Beijing Urban Construction Company Limited. President Xi’s visit to the Maldives – part of his South Asia – tour was reported to have added to Indian concerns regarding Chinese ambitions in the region. 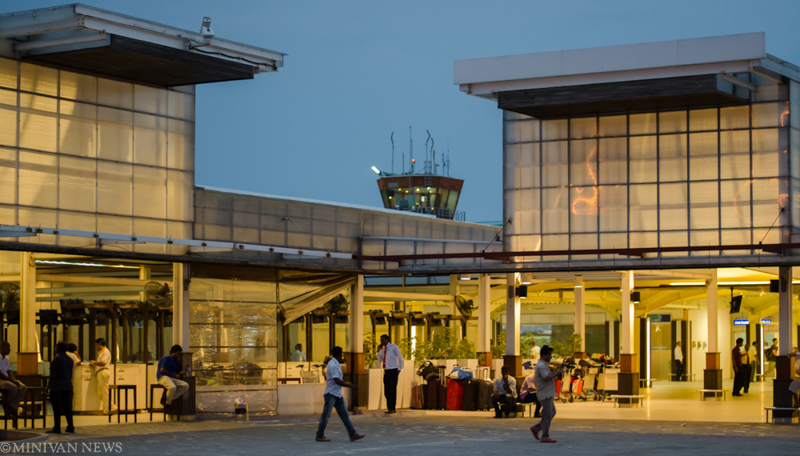 India’s GMR recently won the arbitration case filed against the Maldivian government claiming compensation for the premature termination of its airport development agreement made in 2012 during former President Mohamed Nasheed’s administration. The company’s significant development plans included the construction of a new terminal and investment plans in excess of US$500 million. The two phase arbitration case will now focus on determining the compensation owed by the government, with GMR claiming US$1.4 billion, a figure which amounts to around half the Maldives’ Gross Domestic Product (GDP). Speaking about the arbitration case, Attorney General (AG) Mohamed Anil said that the compensation has been limited by a clause inserted during the original agreement, suggesting that the amount will not go up to the full amount being claimed. Tourism Minister Ahmed Adeeb has since assured that the government has the capacity to pay the compensation. “Our economy will grow with the special economic zone bill, and our government will become rich, we will overcome our budget deficit and god willing we will be able to pay any amount we have to,” he said shortly after the ruling in June. GMR initiated the tribunal at a Singaporean Court after former President Dr Mohamed Waheed’s administration concluded that the GMR contract was void, giving the company seven days to leave the airport. Speaking at a press conference, then AG Azima Shukoor stated that the decision to terminate the contract was reached after considering “technical, financial and economic” issues surrounding the agreement. The GMR case also appeared to prompt a cooling in diplomatic relations between India and the Maldives, with India tightening visa regulations for Maldivian travelers claiming that that decision had been made to draw attention to the treatment of expatriate workers within the Maldives. While relations have improved during the presidency of Abdulla Yameen, Indian officials were reported to have expressed concern over President Xi’s visit this week – the first by a Chinese head of state to the Maldives.